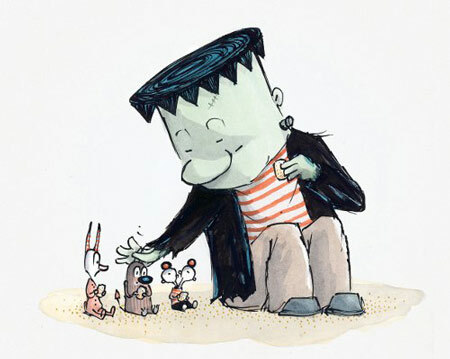 Instead of Halloween, last week we focused on “not-so-scary” monsters during storytime. The books, app and activities I included offered opportunities to talk about rich vocabulary, the names of human and monster body parts, colors, healthy foods, individuality and friendship. It all made for a fabulous week of storytimes. Our word of the day was mayhem! It appears in several monster books and the kids had no idea what it meant. As I described it, we agreed that mayhem and storytime could be synonymous some days. I reinforced with parents the value of expanding a little one’s vocabulary and the role books and storytelling play. Bernadette is a creative little monster. She looks like a monster (horns, fangs, claws, etc.) and can create mayhem like a monster, but she also likes to bake, plant flowers and make cards! Her new monster friends at school are a little shocked and then a lot happy to meet Bernadette and her mostly monsterly ways. After seeing the great diagram of what makes Bernadette a monster, we had fun singing the monsterly version of Heads, Shoulders, Knees and Toes. Of course we sang it slowly first and then went faster and faster until many of us fell down! Is this a book about monsters or being thankful? Both! 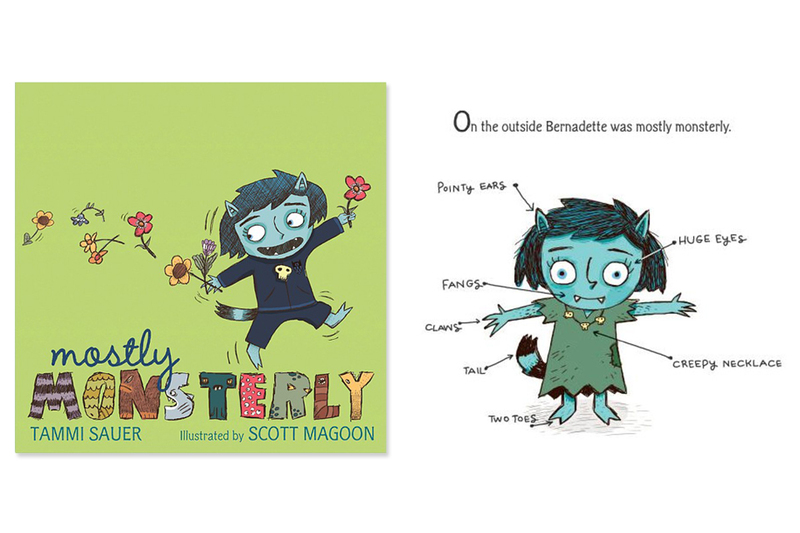 Three bad monsters decide to make the baddest monster of all who ends up teaching them about being grateful. This book is a fun read aloud in part because of the great onomatopoeia and also because of the progression we see in the story. 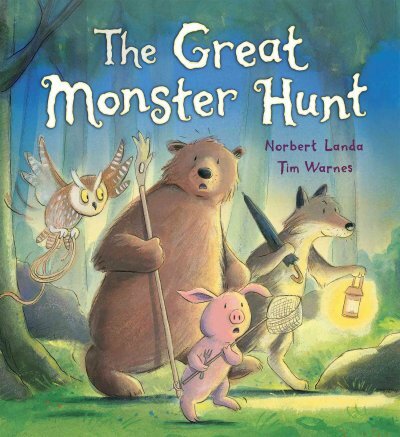 As the tale of the monster under Duck’s bed passes from one animal friend to the other, the sounds the monster makes grow in number and intensity until the group confronts the unsuspecting source. Don’t miss the sun rising as time passes! Joint Media Engagement: Meet Maggie! 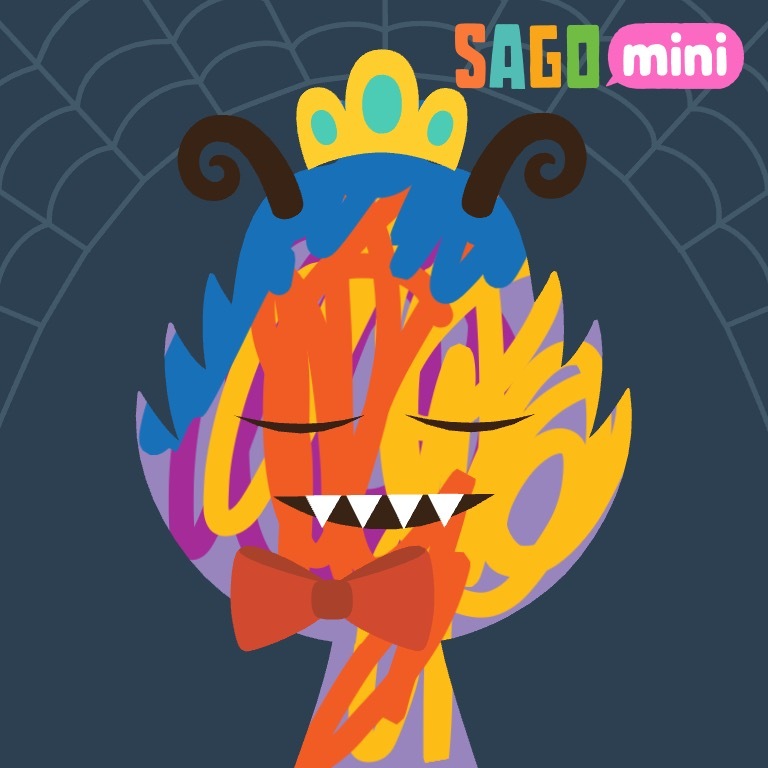 In addition to the books we shared about monsters, I also introduced the kiddos to the wordless Sago Sago’s Mini Monsters app. 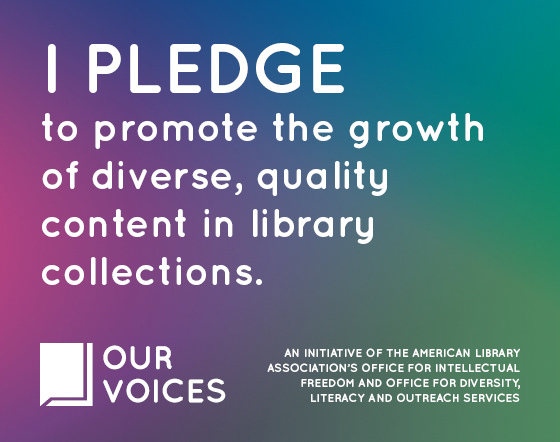 I share apps and other digital media when approriatefor a few reasons: to demo high quality apps, to model joint media engagement, and to offer digital literacy moments. While many kids know what an iPad or iPhone is, many families don’t know how to find quality apps or how to strengthen early literacy skills when they use digital media. Kids were pretty fascinated by the iPad and what I might do with it so I told them I was going to tell them a story about Maggie, a not so scary monster. (I don’t have a large monitor so I share apps on my iPad.) I showed them them the iPad screen with the already loaded app. I then pressed the play arrow on the app home screen which revealed a bubbling green pool and part of a monster’s head peeking out of it. I told them Maggie was a nice monster and I’d love for them to meet her but she is shy. In order to get her to come out of the bubbling pool we need to say hello. We all said “Hello, Maggie!” When she didn’t appear I asked the kids to say “Maggie, Maggie come out, come out where ever you are!” I then showed the kids how I could raise her out of the pool by dragging my finger up the screen. A template of a monster appears above the pool. As I talked about Maggie’s love of all sorts of colors, I pointed to each circle of color at the bottom of the screen. I asked kids to call out their favorite color and I would add it to Maggie by touching the color and swiping my finger across Maggie’s fur painting her. I operated the iPad throughout this sharing and had the kids tell me which colors to paint next and where to put the paint. Once we were happy with Maggie’s colors, we moved on to the next screen and picked horns, her mouth shape and her eye/eyes. We changed her features by swiping them into the green pool below. Once her features were decided it was time to feed Maggie! During the week leading up to Halloween Maggie is supposed to only eat healthy food because she is going to go trick or treating and get a lot of candy, so we talked about examples of healthy food before we began. Individual food popped up from green pool and we decided whether or not it was healthy and then I showed everyone how to feed Maggie. Foods we didn’t want to feed her I swiped it down into the green pool at the bottom of the screen. After several foods a tooth brush appeared on the screen and it was time to brush Maggie’s teeth! This is an open-ended craft and I made a variety of materials available plus these samples. A quick search on the web will show you lots of examples of toilet roll monsters and even the spider rings. Here’s a great tutorial for the rings if you need help: Fantastic Fun and Learning. strips of construction paper, pre-cut so the width is the same as the height of the roll. I found these play dough monster mats on prekinders.com and thought they would make a perfect storytime activity. I printed out several of these mats and laminated them. At a separate station, kids made food out of play dough and fed the 1, 2, 3 or 4 pieces to their monster. 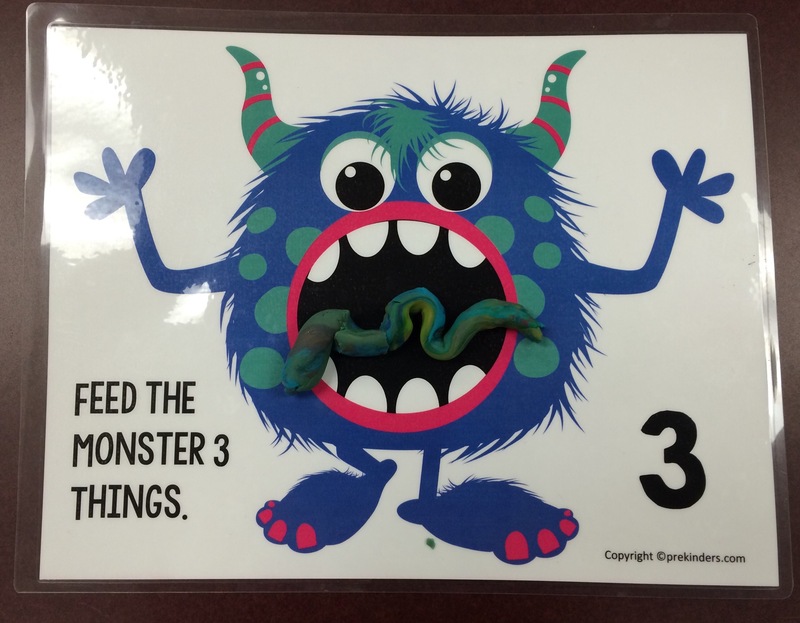 Each mat had the number of items they should feed the monster printed on the bottom. I encouraged adults to talk about the food the kiddos were making and about their monster- where it lives, if it has a name and if it has a favorite food. I brought these mats out during the toddler storytime also and many of our littlest storytimers enjoyed their first adventure with play dough!